Swedish supermarket chain ICA recently launched their “grönhydrater” range – the word being a Swedish portmanteau of the words for “green” and “hydrates”. As well as zucchini / courgette and carrot “pasta”, they have started selling cauliflower rice, which we will take a closer look at here. This entry was posted in Food Diary, Paleo ingredients, Product review and tagged blomkålsris, cauliflower rice, egg fried, ICA, paleo, product review on November 26, 2014 by paleovirtus. Paleo snacks can be a bit of a problem. 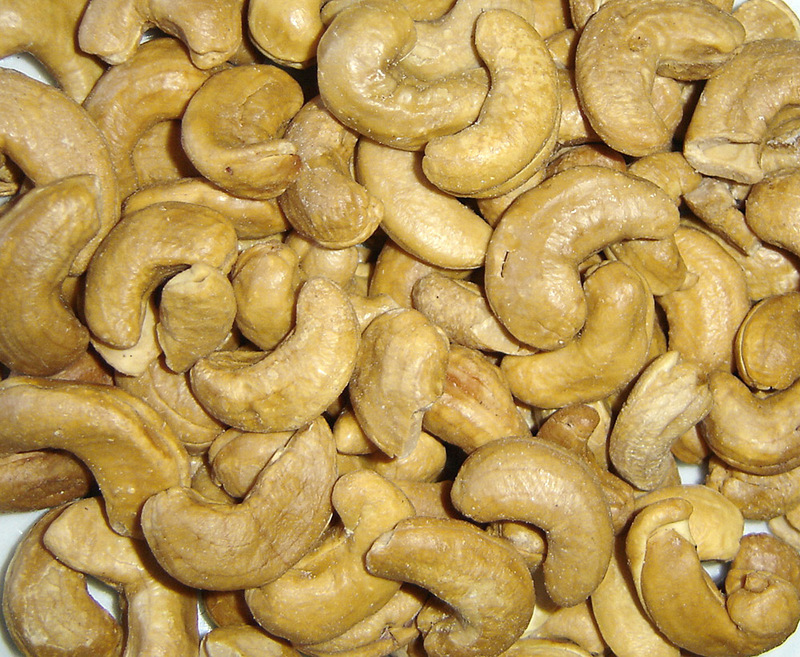 Sure, there’s always fruit and nuts, or tinned fish, but they can become a bit samey if you’re away from home or on the road for more than a couple of days. Sometimes, you find yourself yearning for something with a bit more “ooomph”. Something meaty. This entry was posted in Paleo ingredients, Product review and tagged Elk, ingredient, paleo, reindeer, review, snack, venison, Wild Chips, Wild Man on November 21, 2014 by paleovirtus. Chaat Masala is an Indian spice mixture, or masala, with a unique kind of sweet and sour taste, that can be used to add depth of flavour to otherwise potentially bland dishes. I, for example, add it in generous proportions to ordinary salads, and they are instantly transformed into mouthwatering delicacies. You can also find chaat masalas that have been blended to be more suitable to fruit salads – I use one below to create a quick and insanely delicious tropical fruit salad. After trying a few brands, I have to say that my preferred one is Shan. If your luck’s in, your friendly, neighbourhood Indian or Pakistani grocer will have them in stock. One word of warning though – chaat masala is similar to Marmite in one important aspect – you are going to absolutely love it, and go to any lengths thereafter to ensure that you always have some in at home, or you will despise it on first taste, and go to your grave cursing the name of Paleovirtus for suggesting that you ever try it in the first place. 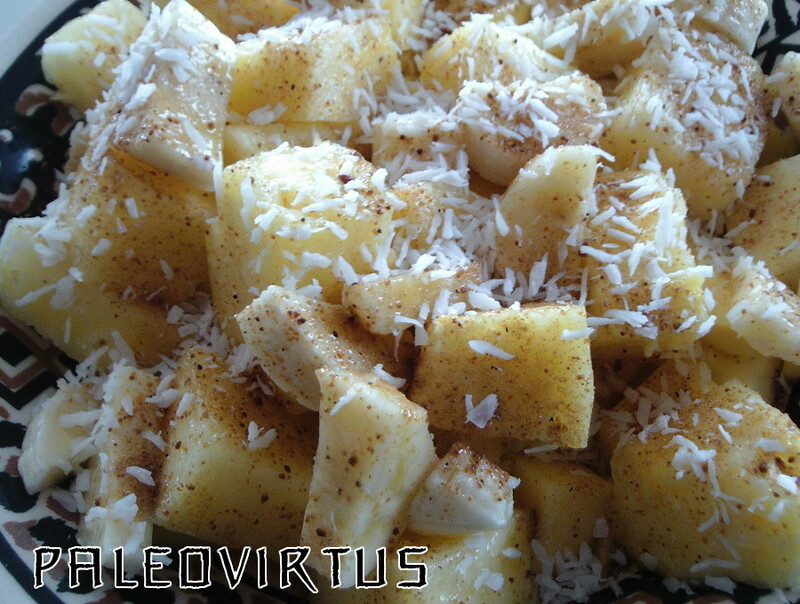 Mix the prepared fruit in a bowl. Sprinkle over about ½ a teaspoon of fruit chaat masala. Mix well. Sprinkle over another ½ a teaspoon of fruit chaat masala. Mix again. Give a good dusting with dessicated coconut. Serve. 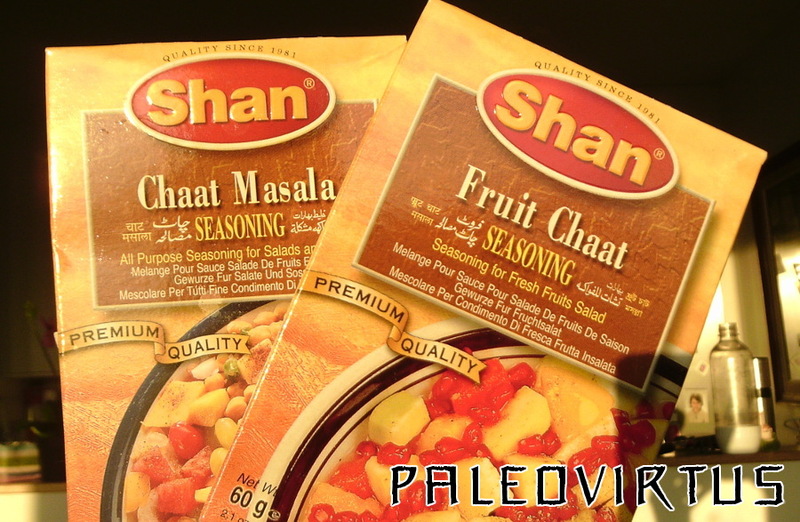 This entry was posted in Food Diary, Paleo ingredients, Recipes and tagged chaat, fruit, Masala, paleo, recipe, salad, Shan foods, tropical on September 10, 2014 by paleovirtus. When idly surfing around the other day I luckily happened upon this wee gem – Tesco own brand fish sauce. 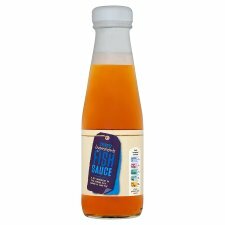 Unlike the vast majority of the fish sauce available at your friendly neighbourhood Asian grocery store, this baby doesn’t come loaded with a bucketful of extraneous crap, such as s***r.
You can find it over on the Tesco site here. This entry was posted in Paleo ingredients and tagged fish sauce, Tesco, Thai on July 19, 2014 by paleovirtus.